our motto: Bringing joy and laughter wherever we go! Want to animate your next fun(d) raiser or special event? - Bring in the clowns! We come with tricks and jokes, songs and laughter. Great for big groups or crowds where people are strolling. 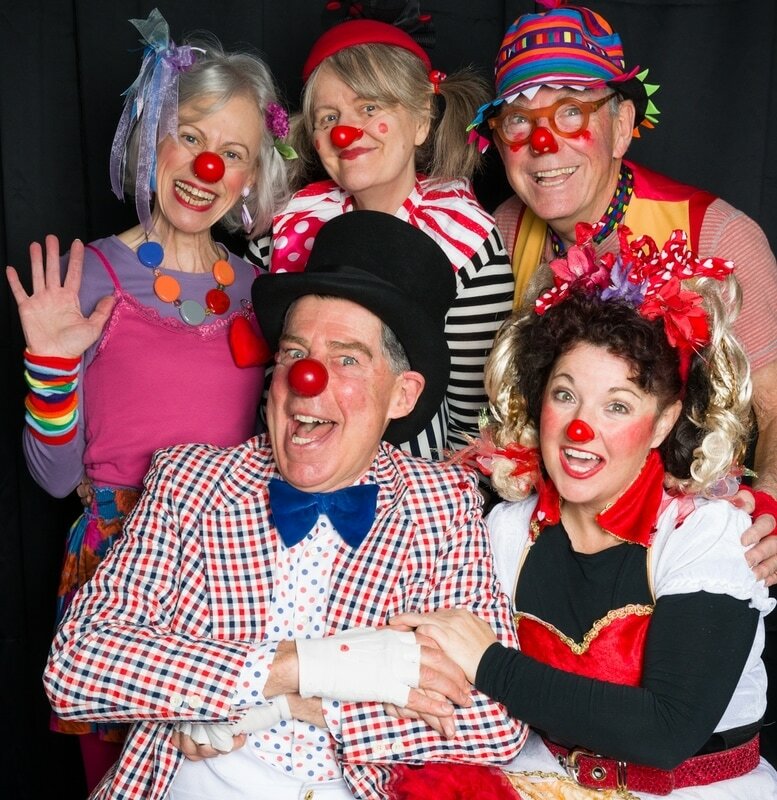 Some of the events that have enjoyed The Sunshine Clowns are The Prostate Cancer Run/Walk, Purple Day, Rotarians' Fundraiser for Literacy, Music in the Park, The annual Canada Day Celebration on the Gorge and the Community Living BC Annual Big Picnic. We clowns love to come to parties, such as birthdays or retirement events. Basically, we help you create any theme you wish. We bring fun and a bag of surprises. And - of course, if requested, we will honour the special guest! We now regularly visit residents at Beacon Hill Villa and Luther Court in Victoria, BC. The residents delight at our appearance and welcome us into their rooms or into the areas where they gather. THE EDGE OF DISASTER is Holliday and Moore's third theatrical production in which two clowns stumble upon a ticking bomb and need to figure out their response to it very quickly! It is currently in development and should be ready by the spring of 2018. If you are an activity programmer or administrator we would love to explore our work with you. If you are interested in becoming a care clown yourself, be sure to get in touch, too!